I've been trying to get in the mood to read this book since it came out. I must have picked it up three or four times at least only to put it right back down again. The beginning few paragraphs just didn't hook me. In fact, this time, it probably took me at least 10 pages before I was at all interested in what was going on. 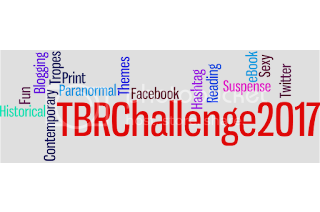 If it weren't for the TBR Challenge, I'd have put it down again. A lot happens in this book. There's a thief going on the lam; there's the capture of said thief. There's an attack by elves, a car wreck, capture by goblins, Fae shenanigans... There's plenty of action (both sexual and not) but there is very little emotion. At least for me. Things happen to Pia, but we don't really see her fall in love. She tells us she's falling in love, but we don't see it. Perhaps the pace just wouldn't work for more emotional scenes, but the frantic episodic nature of the book didn't do justice to the romance. For adventure/fantasy fans, there's plenty to like here, though. Personally, I really didn't find Dragon Bound all that ground breaking. Katie MacAlister has been writing about dragons for some time now, and some of the best fantasy books have a similar romantic arc. There were a *few* twists that made this one unusual, but it wasn't the genre busting book I had hoped for. Still, it was compelling enough to make me want to read the next in the series. I read this for the June RITA challenge. I felt more positive about it than you, but I do agree that we don't see a lot of the falling in love bit. It's pretty much Insta-Love so it's hard to get to the why? in books like this. I honestly think I would have liked this more if it hadn't been so hyped. I really, really wanted to love this book. 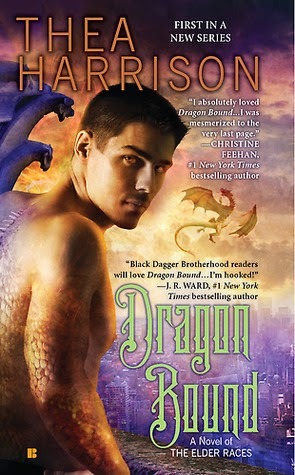 But it's really not all that different from other dragon books I've read.